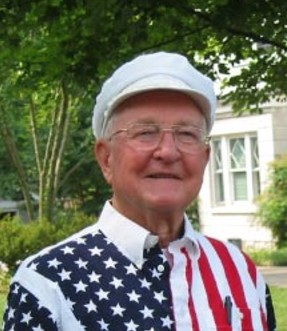 Dr. Jack Willis Miller – Age 87, passed away November 30, 2018 in Nashville, TN. Resident of Nashville, TN for over 50 years. Dr. Miller was Professor Emeritus of Peabody College of Vanderbilt University. Born in Lake George, MN to Beatrice L. Miller and Clifford A. Miller. Survived by his wife, Haroldine G. Miller and four children, Steven C. Miller, Curtis J. Miller, Sandra D. Miller-Davis, and Christine L. Miller; 7 grandchildren, 8 great-grandchildren, and brother, Robert A. Miller. Inurnment will be held 9:00 a.m. Thursday, December 6, 2018 at Middle TN Veterans Cemetery with Military Honors. A Celebration of Life Service will be held 11:00 a.m. Saturday, December 8, 2018 at West Harpeth Funeral Home with visitation from 10:00 a.m. – 11:00 a.m. prior at West Harpeth Funeral Home. In lieu of flowers, please send donations in memory of Dr. Jack W. Miller to Bemiji State University, Bemidji, Minnesota. View complete obituary notice at www.westharpethfhcom. I completed my Ph.D. at Peabody in 1977, and Dr. Miller’s signature is on my dissertation. He was a fine man and a great educator, and I am grateful for the opportunity to have known him. Please accept my deepest condolences.